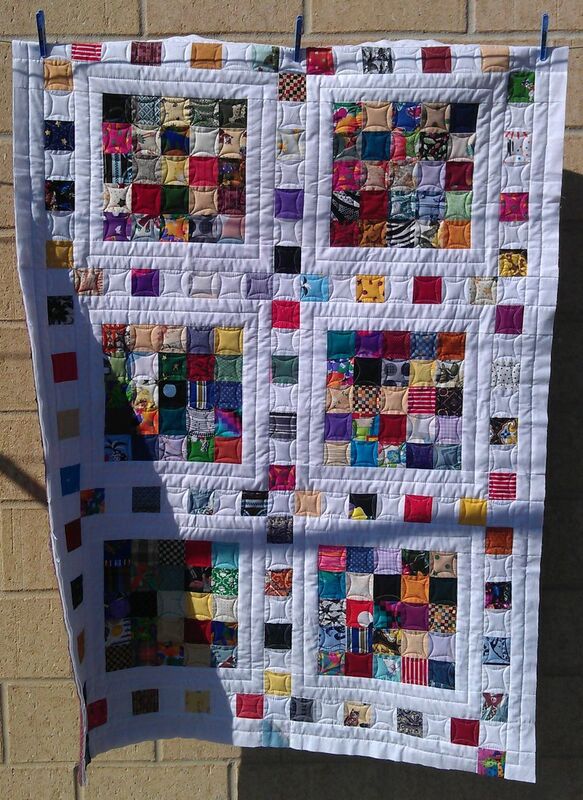 I liked this bright scrappy quilt! The crisp white set it off perfectly. I think this pattern was used (http://weddingdressblue.wordpress.com/2012/09/24/tutorial-film-at-five-quilt/) or a variation of it. How to quilt it? 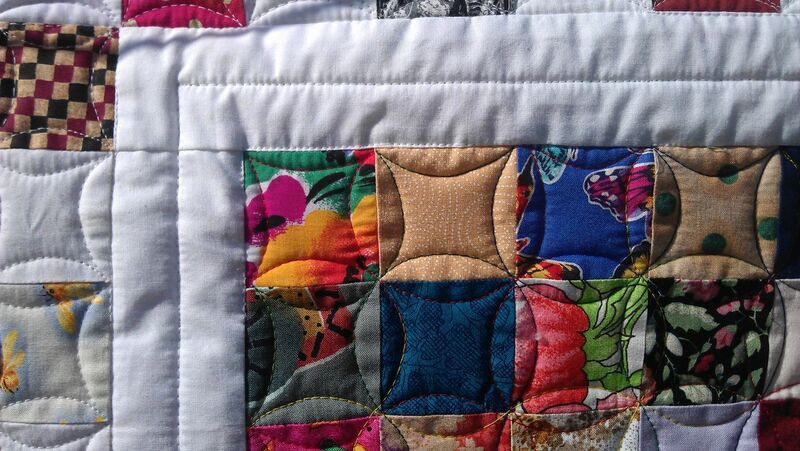 First I stitched in the ditch around all the blocks to stabilise the quilt. My next thought was ‘modern’ with lots of straight lines, but then I decided to just do the straight lines in the centres of the sashing and border strips, using white thread. Once that was all stitched, I tackled the small squares. This time I decided to do the cathedral windows/orange peel motif as it’s quick, easy, and gives a great effect of circles and/or flowers. I used a variegated red, yellow, blue, and green thread for these sections. 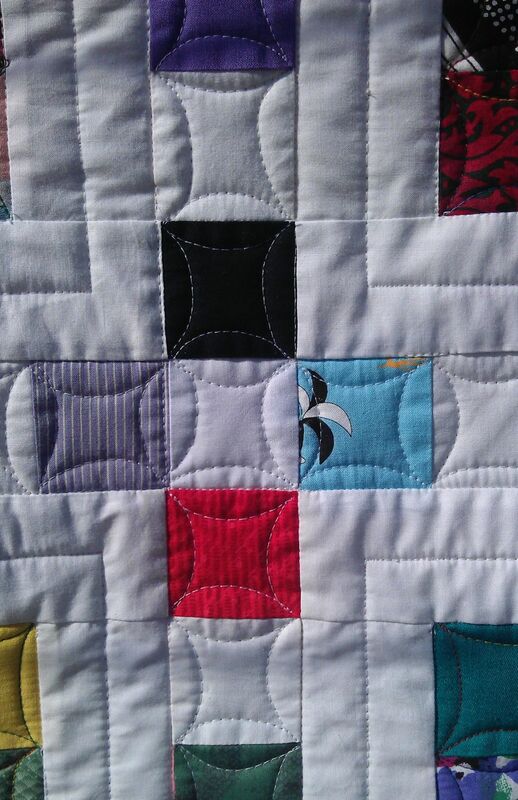 And I finished off the sashing/borders with the scrappy squares using the cathedral windows motif, but in white thread. It does have a Film at Five look. I really like your quilting! Very cute. Love it, wish it were mine!